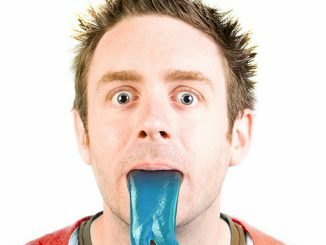 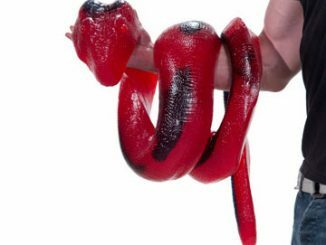 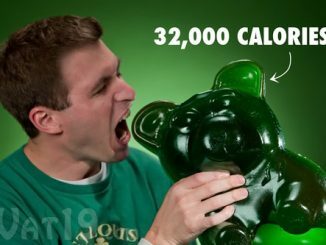 With a 26″ length, a 5″ circumference, and weighing in at a whopping 3 pounds, these World’s Largest Gummy Worm are 128 times the size of regular gummi worms. 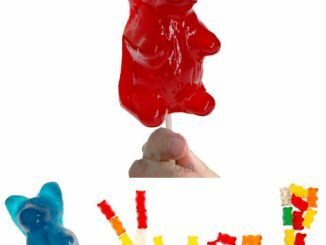 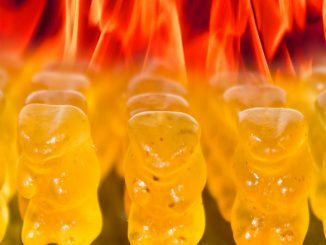 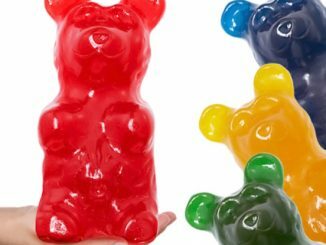 They have a 1 year shelf life and a different flavor on each end, so you don’t have to worry about getting gummied-out and throwing away the leftovers. 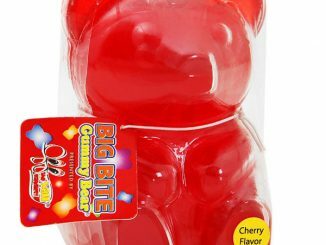 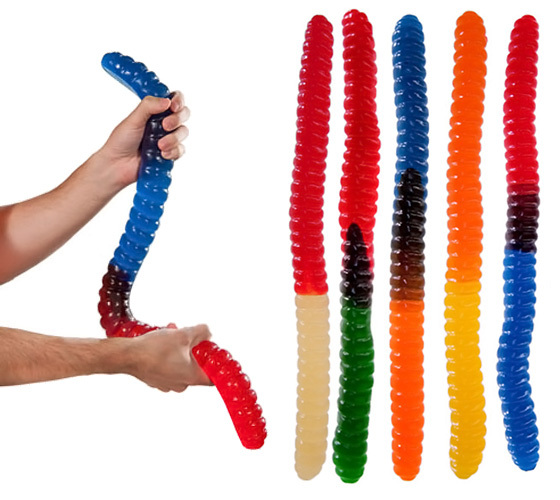 While they aren’t quite as large as the Giant Gummy Bears, which weigh in at an incredible 5 pounds, these Giant Gummy Worms are still huge by any standard. 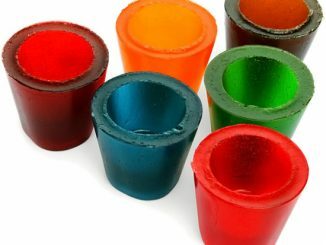 They would be fun to have at a party, although perhaps not as fun as the Gummi Shot Glasses. 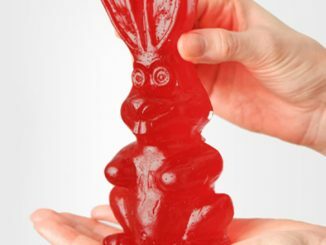 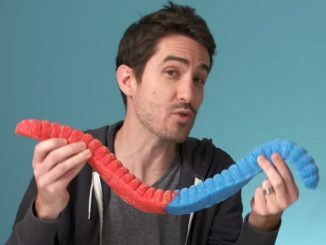 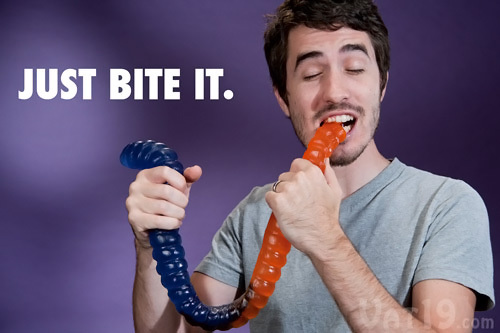 You can purchase the Worlds Largest Gummy Worm for $27.95 at Vat19 in your choice of flavor combinations. 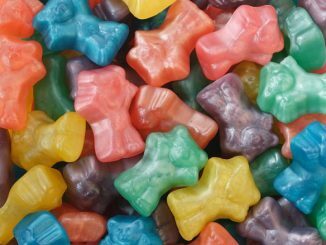 Choose between: Blue Raspberry & Red Cherry, Green Apple & Red Cherry, Lemon & Orange, Orange & Blue Raspberry, and Pineapple & Red Cherry.